Predominantly Syrah, Zinfandel and Petite Sirah, each varietal imparts a range of fruit expression, creating a fearlessly distinct wine. 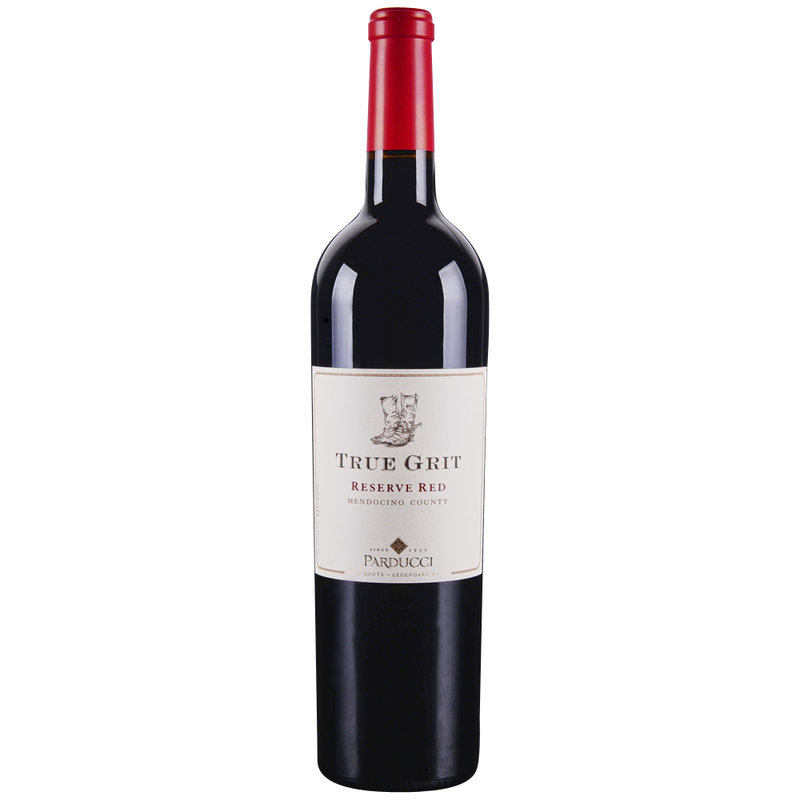 The True Grit Red Blend offers boldly expressive varietal characteristics, created by very selective fruit sourcing and hands-on winemaking practices. Parducci Wine Cellars is continuing the legacy and vision of John "Mr. Mendocino" Parducci, one of the greatest winemakers of the 20th century. Our family-run winery has an 80 year history of crafting artisan wines with a reputation for value, quality, and care for our local community.